, but MercerBell hopes to buck the backlash with its new venture. 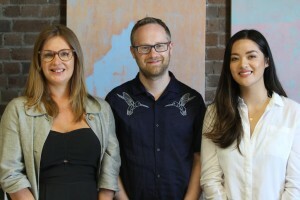 The agency, which recently announced it was opening in Melbourne, has named Gary Andrews as the managing editor and Roslyn da Roza as social media editor. Moving to Australia from the UK, Andrews worked for insurance company Direct Line Group, where he headed up its social media division. Andrews, who has a background in broadcast journalism, has also worked with insurer Hiscox, PR firm Ruder Finn and the BBC. 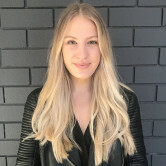 MercerBell managing director Julie Dormand says Andrew was appointed to head the new division as he has a good understanding of how to design editorial strategies and execute content across multiple formats. “The editorial offering from MercerBell is something that we have put a lot of thought and strategy into designing so that we can provide our clients with real content that builds connections with their consumers, not a string of keywords that chases the ever-changing requirements of search engines,” she adds. Da Roza is an online influencer through her blog, Ripe Journal, through which she has worked with the likes of BMW, Canon and Kellogg. She will be working on the creative side of content creation as well as providing counsel for brands who are exploring influencer programs. MercerBell was acquired by Saatchi & Saatchi in 2016. Saatchi & Saatchi is currently advertising a role within its Sydney office for a managing editor for its "newly-formed" content marketing team. MercerBell is moving into the content marketing space opening an editorial and content division. The closure of King Content at the end of last year led to several analysts to declare content marketing as dead, but MercerBell hopes to buck the backlash with its new venture.